Bradley’s composite index of business and economic indicators in the Peoria area economy saw continued positive performance in the labor market. The report covers parts of Peoria, Tazewell, Woodford, Stark, and Marshall counties. Bernard Goitein, who helps develop the quarterly report, said he and his colleagues at Bradley's Foster College of Business use over 30 business and economic indicators in determining the index. “We try to see what kind of overall picture they make, and overall we’re still seeing positive performance when we put together that performance index,” Goitein said. He said the steady low unemployment rate is a result of an increase in the number of people working, and a decrease in the number of new unemployment claims filed. The New Unemployment Claims Index is down 21.1 percent from this time last year. Specifically, construction jobs in the Peoria-Pekin area are up nearly 1 percent over last quarter, after adjusting for seasonality. The Peoria area's economy saw improved labor market conditions during the second quarter of 2018. 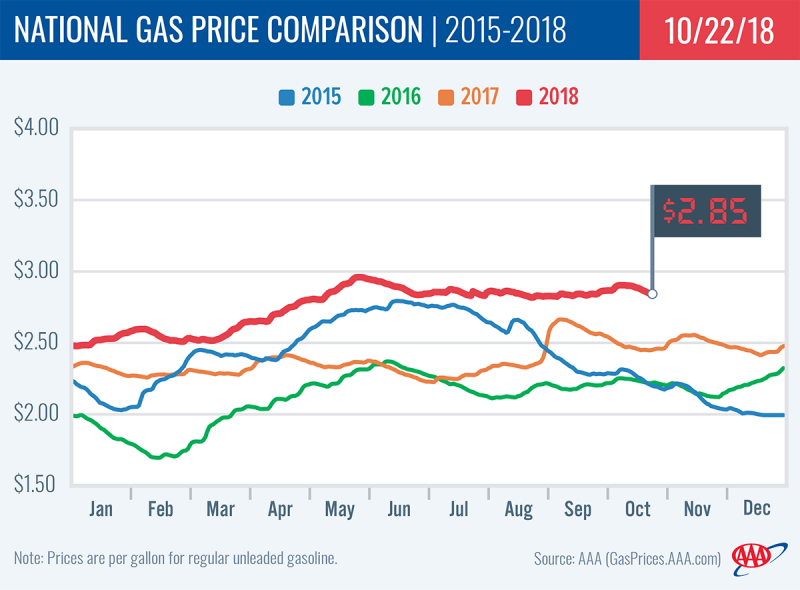 Illinois gas prices are higher than this time last year. Statewide prices are at an average of $2.82 per gallon. This is down from last month, but about 30 cents more expensive than October 2017. AAA spokesperson Beth Mosher says there are a number of economic factors involved. “This fall, Illinois saw a number of issues from local refineries, which pushed prices higher. Also, supply and demand have been affecting prices quite a bit this fall,” she said.